Oklahoma Corporation Commissioner Bob Anthony indicated he won’t take part in an Aug. 28 runoff election debate sponsored by the political news website NonDoc in Oklahoma City. As NonDoc reported this week, it will sponsor the debate of Democratic and Republican candidates who are in the runoff races. The news site said it is working with non-partisan partners Let’s Fix This and Generation Citizen in holding the debates at the City Presbyterian Church, 829 N.W. 13 in Oklahoma City. 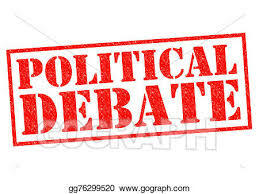 The Democrat runoff debate will be from 5:30 to 6:30 p.m. and the Republicans will debate from 6:45 p.m. to 7:45 p.m. But Commissioner Bob Anthony’s campaign told NonDoc that he “declines to participate in your proposed event.” The site explained it had been in negotiations with Commissioner Anthony and his daughter Elizabeth who is campaigning her father’s re-election campaign. ” She requested the flexibility of potentially representing her father at an August debate as she has during the 2018 election at local Republican Party events,” reported the news site. “Democrats Ashley Nicole McCray and Blake Cummings have confirmed their participation in the Aug. 21 debate night, as has GOP challenger Brian Bingman. If Anthony stands by his decision and declines to attend, Bingman alone will be asked a series of questions during the Republican portion of the night’s debates, which are open to the public and free to attend,” continued NonDoc. On the Republican side, Anthony has served 30 years in office and is seeking his sixth six-year term. He finished the June primary with 47.2 percent of the vote. He is challenged by former State Senate president pro tempore Brian Bingman who picked up 38.4 percent. On the Democratic side, Ashley Nicole McCray nearly won the nomination outright with 48.8 percent while Blake Cummings received 22.2 percent.